Our latest Project of the Month contest winner operates out of Hudson, Colorado and services the Denver metropolitan area, but their projects have spanned as far as Cheyenne, Wyoming and even out into the Rocky Mountains. 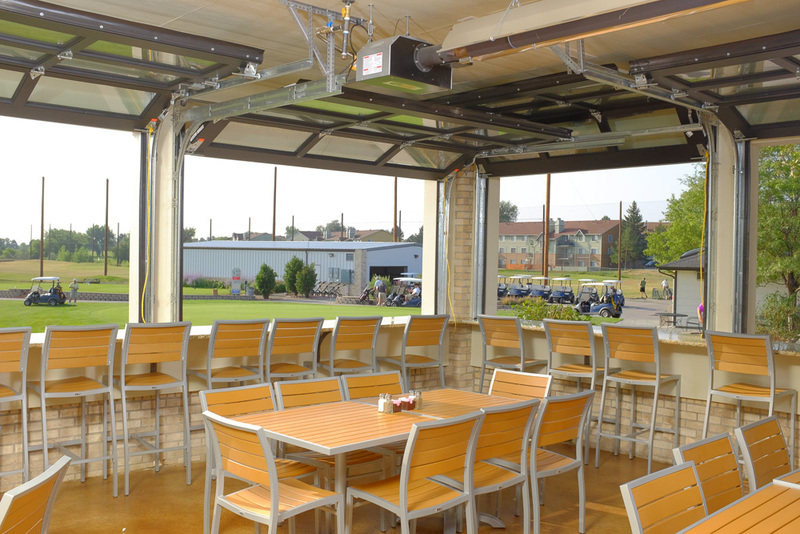 Griswold Construction & Overhead Door has been in business for nearly ten years, and caught our attention with their superb work on the Lake Arbor Golf Course in Arvada, CO. 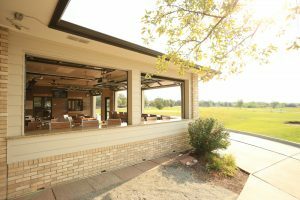 The Lake Arbor Golf Course has been around for a while, but it wasn’t until earlier last year that their restaurant underwent a renovation. 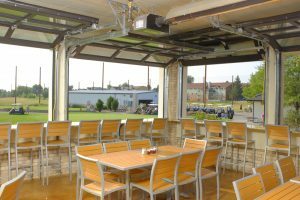 After being recommended by a mutual contact to the project contractor, JL Melton Construction of Denver, CO, the Griswold team went to the site and took measurements for the five dark bronze anodized Model 800 commercial full view aluminum garage doors that the contractor had selected. The door sizes included two 7’10 W x 5’ H doors, two 9’2 x 5’, and one 6’2 x 8’6, all with ½” low ‘e’ tempered glass. Projects like this one always seem to work exceptionally well with a Northwest Door Model 800. 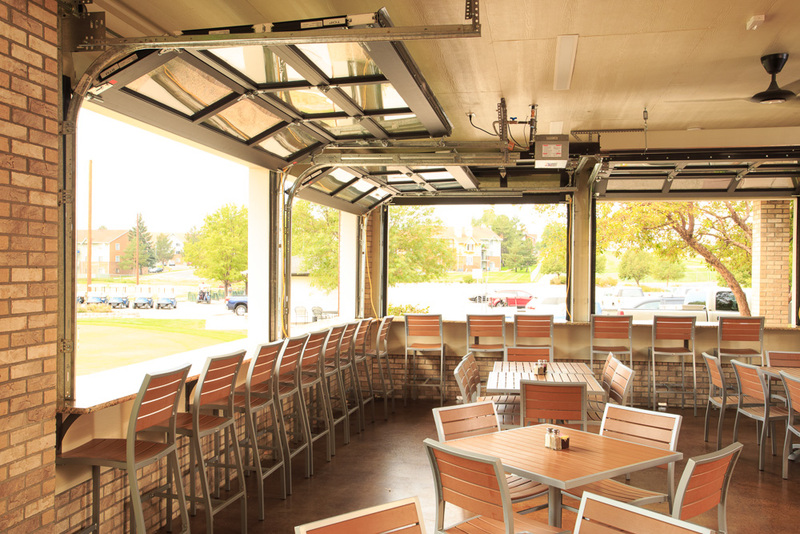 The full view windows give restaurant patrons an unobstructed view of their surroundings, while allowing for the option to fully open the doors for better airflow and visibility when the weather starts to heat up. 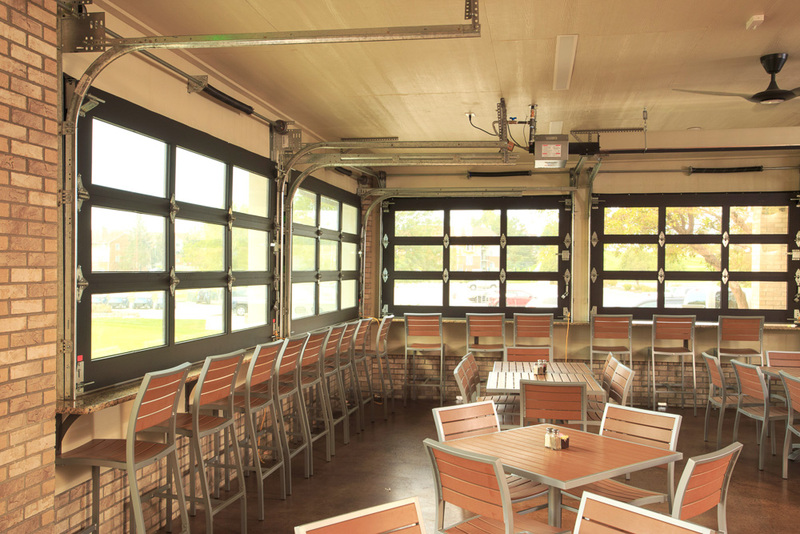 Tim Griswold, owner of Griswold Construction and Overhead Door, mentioned in our interview that the 800 Series is one of the most common Northwest Door products his company sells and installs. 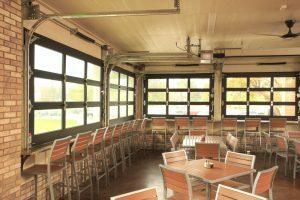 Commercial projects take up about 80 percent of their workload, and a large majority of that 80 percent consists of breweries, restaurants and taprooms. When asked if there were any difficulties with this project, Tim said, “No, not really” before mentioning the two doors in the corner (see photo above) and the process of making one operate over the other, “but I’ve been doing this for 24 years so I’ve seen it all – nothing is much of a challenge anymore”. Griswold is a very experienced company with excellent customer service and communication, and very reasonable prices. They love the variety of customers, projects and products in the door industry and pride themselves on their quality of work. 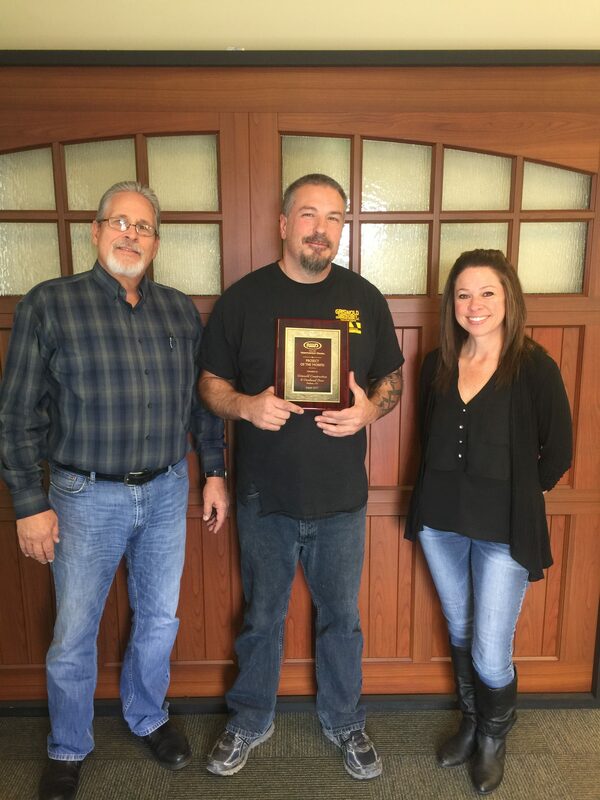 We are proud to have Griswold as a Northwest Door dealer and pleased to present them this award. Learn more about our 800 Series here, or head over to Griswold’s website and get your next project started today!